Itchy feet got the better of us recently and we packed up the motorhome for a long weekend in Northumberland. 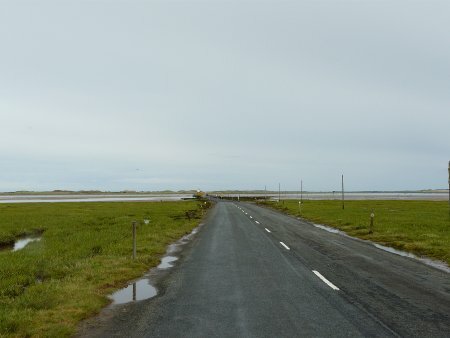 As luck would have it, the tidal causeway was going to be passable until late that evening, so we took the opportunity to drive over and then donned our walking boots to explore the populated end of the island. That done, we stayed the night in the car park on the mainland side of the causeway – along with three other motorhomes. It was a beautiful spot and there were no posted prohibitions on overnight parking. As normal, we followed our own advice for wild camping and made sure that we only stayed one night and left no trace of our presence. Day two dawned bright and fresh and after a bacon sandwich we decided to head inland. First proper stop was Jedburgh, in sunny Scotland. 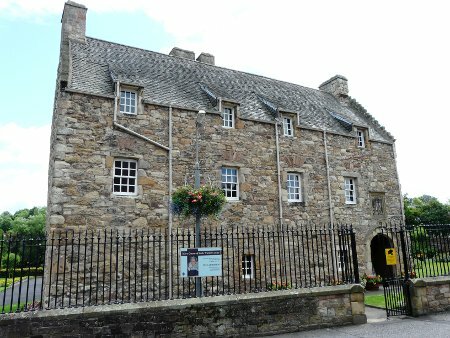 We had a walk around this pleasant (but very quiet) town and visited the house that Mary, Queen of Scots stayed in before heading back to the car park (free) for lunch. 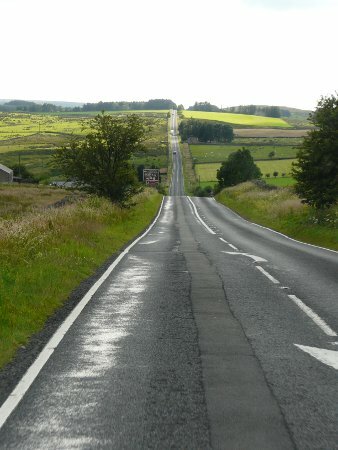 We then drove south, back into England, and headed through the Cheviot Hills into the Northumberland National Park. 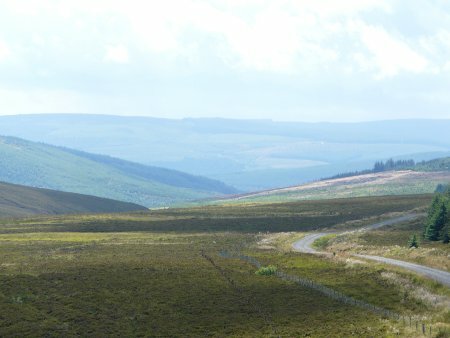 The weather was fine and we wanted to see some more of the hills, so we decided to drive along Kielder Forest Drive, which takes you from one side of the park to the other, much more directly than by (surfaced) road. It is passable for cars and most panel vans but is not something I would recommend if you are driving a large or coachbuilt motorhome. While the road was passable, it was fairly narrow with very limited passing places. It was also fairly bumpy, for a road vehicle. 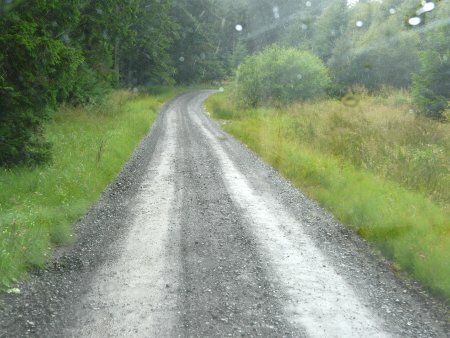 This is Kielder Forest Drive. It is 12 miles long and was bumpier than it looks... thankfully, as it was Sunday, the timber trucks were having a day off. 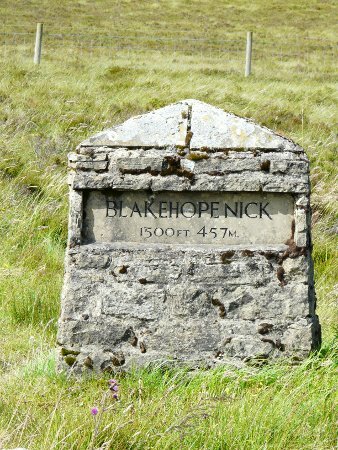 Blakehope Nick - the peak of the park! Once we had emerged from our off-roading session, we were insulted by having to pay a daily parking rate of £3 if we wanted to stop in the Northumberland National Park car park for 10 minutes. So we didn’t. 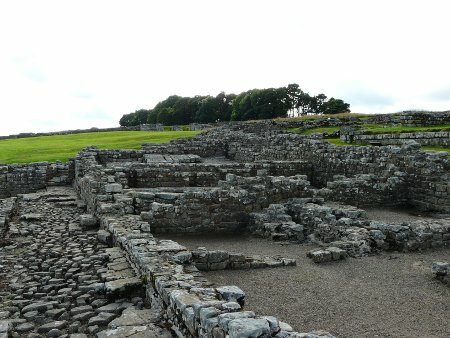 Instead, we made our way towards Hadrian’s Wall. Trundling along the B6318, we made a few small diversions to see sections of the wall and stopped at Housesteads, reputedly the best-preserved Roman Fort in the UK. If you do stop there, be prepared to pay for the privilege. 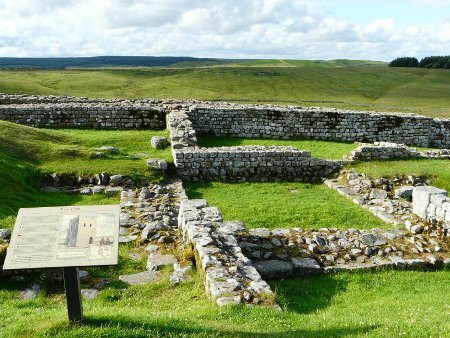 Car parking was at the usual daily rate of £3 (transferable to other Hadrian’s Wall car parks, but only valid on the same calendar day, not for a 24 hour period). Having paid for parking (it’s in the middle of nowhere, there is no other reason to stop), we expected to be able to waltz in and look at the remains freely. 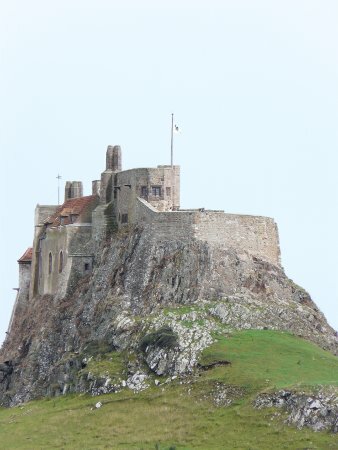 However, such is not the English Heritage way. Admission to the ruins was a further £4.50 each and the site closes at 6pm. At least it says it does. But you don’t discover this until after you have paid for parking and walked to the site entrance. At this point, I must admit that a little good luck came our way. I can’t vouch for this method, but what we (and a number of other people) did was walk towards the ruins (where you purchase a ticket) just after 6pm. The blinds were down on the ticket office and there was nothing to stop us bypassing it and walking freely into the ruins. Which we did. They were interesting, but I am still not sure that I would have wanted to pay a total of £12 to enjoy the experience, which took about half an hour. Our final destination for the day was Gilsland. One edge of this small village has a quiet car park that is close to two sections of Hadrian’s Wall. We had dinner and visited the wall, providing a satisfactory end to the day. Day three was less exciting. On leaving Gilsland, we headed towards Haltwhistle, which is signposted as being ‘The Centre of Britain’. 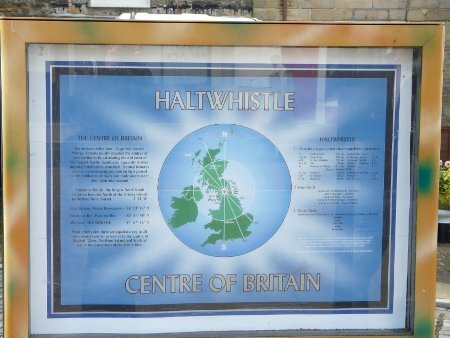 This is a reference to its geographic position – Haltwhistle is sorely lacking any other distinguishing features, except for a butcher selling rather good (and amazingly expensive) sausage rolls. Thus satisfied, we made our way to our final destination, the Errington Reay pottery in Hexham. Errington Reay is a traditional pottery that makes high quality, very tough garden wares. Unlike most manufacturers, they use a traditional salt glaze to finish their wares, resulting in a distinctive and attractive appearance that is very hard wearing and guaranteed to be frost proof for 10 years. Visiting the factory is worthwhile as they have a large selection of good quality seconds for sale at prices much lower than normal garden centre retail prices. We bought a pot to add to the one we already had at home.